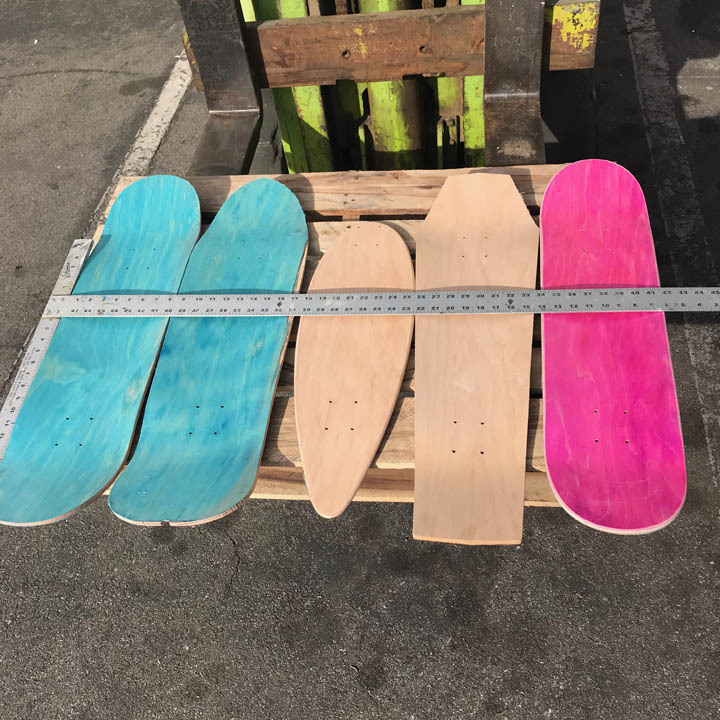 We now offer unfinished decks that you can use as a starting point for you diy skateboard build. Any skateboard that has a production flaw at any point can be fixed and turned into a first quality deck. We are to busy to stop production to fix blems. 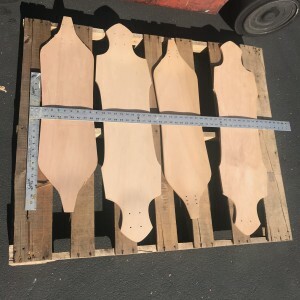 All diy skateboards are straight out of our wood shop and packaged up in a 5 pack for you to finished them up yourself. 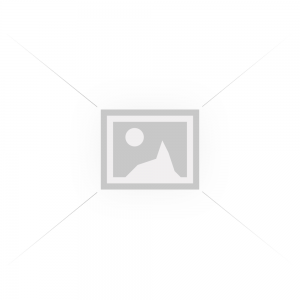 Here is a good example of a diy skateboard 5 pack. We take photos of the decks to show the blems. These decks are uncut on the rails so you can re shape them any way you feel. Most of the time it just takes a bit of time to finish these up and make them a first quality deck.